This position is responsible for the aerial inspection of pipeline right of ways to ensure early detection of leaks and for reporting of all anomalies for further investigation by the pipeline companies. ●	Understands and recognizes the various anomalies that need to be reported. ●	During flight, the Observer records the anomalies and or other features. ●	Familiar with using programs such as Base Loc and Google Earth to convert GPS coordinates to LSD’s and vice versa, in order to provide accurate reporting of anomalies. ●	Familiar with using patrol maps and in providing an accurate and timely report to customers. This includes use of a cell phone while in flight to contact customer if a urgent anomaly is sighted. ●	Ensures all patrol data and photos are properly labelled and saved in the appropriate company database / drives when back at base or away. ●	During flight, the Observer monitors pipelines for any anomalies, including, but not limited to, leaks, corrosion, erosion, damage and 3rd party activity. ●	Assists pilots to ensure safety of passengers by being observant and diligent at all times. ●	Understands and follows all Surveillance SOPs, training manuals, Surveillance Department and Company policies and procedures. ●	Assists the Surveillance Supervisor with any pipeline related issues. ●	Familiar with use of Nomads, Junos, cameras and ipad Mini or other recording equipment. With the PIC, is responsible for the care and custody of all equipment to ensure it is not damaged or lost/stolen. ●	Ensure that Batteries are charged for the Camera, Juno and I-pad. ●	Ensures that all required equipment is on board aircraft prior to departure. ●	Assists in the completion of various types of projects, including inspections of pipelines and power lines, fire spotting, aerial photography, GIS/GPS information gathering. ●	Maintain Surveillance files associated with the position. ●	Always checks e-mails to ensure information sent has been read and understood. ●	Assist in general pipeline duties such as manual reviews and SMS requirements. ●	Complete administrative company forms, Flight duty times, time sheets, travel requests, expense claims, and leave requests by required deadlines. 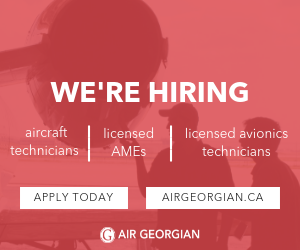 ●	Transport Canada Fixed Wing Commercial Pilot Licence (completed or in process) is preferred. ●	High school diploma required. Post-secondary education is an asset. ●	Proficiency in the use of computer programs for word processing, databases, email, internet, etc. ●	Proven experience in providing exceptional customer service. ●	Problem solving, conflict resolution and decision-making skills. ●	People skills, supports diversity, results driven, professionalism. ●	Strong verbal and written communication skills. ●	Strong organizational and time management skills with an ability to work under pressure to meet deadlines. ●	Excellent customer service skills. ●	Computers, photocopiers, faxes and related office equipment and software. ●	Aircraft hangar. May be required to apply for and receive security clearance passes. ●	A standard office environment, travel will be required. ●	Understands and adopts the company’s safety culture with attention to SMS policies and procedures. ●	Other duties and responsibilities may include but are not limited to assisting ground support, cleaning of hangar, office and aircraft, painting and other housekeeping duties.